Travelling is all about discovery, finding joy in the places you would least expect. Every city is different once you explore it, and we will let you in on a secret ... there’s nothing quite like exploring Cape Town by car. Visit the coffee shop that’s located deep in the suburbs, find the most unique stall and the popular market or head out into the mountains and untamed African wild – there are hidden gems just waiting to be discovered. And having the right car for the job means nothing can ever stand in the way of adventure. 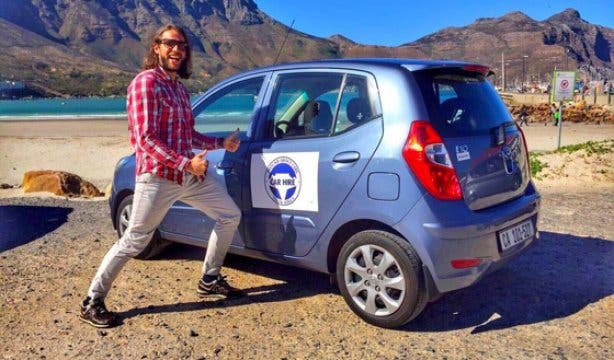 AroundAboutCars is the friend you’ll want to get to know when travelling around Cape Town. They offer a range of vehicles, from compact cars to busses, 4x4s to luxury sedans, to suit your every need. And their service is good and personalised, which makes their value-for-money deals that much sweeter. Just outside of Somerset West is the Helderberg 4x4 trail. And it’s a must-ride for amateurs and skilled 4x4 drivers alike. First stop is the Helderberg Farm where you obtain the necessary permits to access the 12km adventure route – excellent any day and famously challenging in wet conditions. No 4x4? No problem. You can tackle this epic trail in any of the range of 4x4s from AroundAboutCars. Toyota Hilux. Check. Land Rover Freelander. Check. Nissan X-Trail. Check. You can book hassle-free online and have your 4x4 delivered free of charge direct to the airport, so it’s ready and waiting for you when you arrive. Plus, you get 24-hour emergency backup anywhere in South Africa, you know, for peace of mind in case you get in a sticky situation out there in the wilds. AroundAboutCars have special rates in Cape Town so you can enjoy the off-road terrain as much as you like. 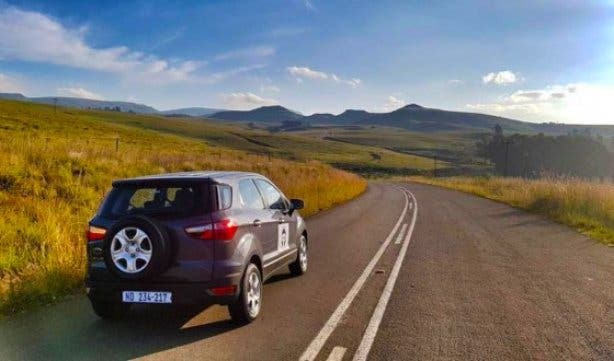 There’s nothing quite like bonding over a glass of wine, so load your band of merry friends or family into a comfortable people-mover and do your own custom tour through the Cape Winelands, making new discoveries at each little wine farm you visit. Look out for speciality pairing menus or stop for lunch at one of the many world-renowned restaurants and eateries along the way. Again, AroundAboutCars has a range of busses that are big enough to fit you, your friends and all the bottles of wine you’ll likely end up buying along the way. Think Hyundai H1, VW Bus or the ever-popular Toyota Quantum and you’re on your way. With AroundAboutCars’ unlimited kilometres, no excess policy and fully-inclusive rates with no hidden costs, you’ll know exactly what it’ll cost and there won’t be any nasty surprises. Tip: Please just ensure that either you or one friend will be the designated driver for the day or speak to AroundAboutCars about their chauffeur service. Dipping into a warm bath is a dream during the chilly winter months and there’s nothing quite like a family campout at the natural warm baths in Citrusdal. There are 25 camping sites leading up to the baths, with shared ablution blocks, braai facilities and electrical points. Plus, if you do it in a luxury camper from AroundAboutCars, it pretty much becomes a glamping holiday. AroundAboutCars have various sizes of campervans available that sleep up to four people. Camping is a big thing at AroundAboutCars. And, naturally, they’re good friends with a lot of the top camping sites around the Western Cape. You may even qualify for a discount on your accommodation when booking with one of AroundAboutCars’ partners. One of the most scenic routes in the city (and definitely SA’s most famous), Chapman’s Peak with its unbeatable views of Hout Bay, the harbour and Noordhoek is an absolute must when you’re in Cape Town. It gives you fast (not to mention breathtakingly beautiful) access from the city to the Southern Peninsula where there’s a host of new and exciting discoveries to make, from golf at Clovelly and Simon’s Town to picture-perfect wine tastings at Cape Point Vineyards. And a drive like this calls for a luxury vehicle. How about a Mercedes Benz C-Class? Or is the BMW 320i more your speed? Either way, think AroundAboutCars for Chapman’s Peak and any of the many scenic roads in and around the Mother City. They offer one-way drop-offs and affiliated car hire anywhere in the country, so you can pick up your luxury car, do the drive and drop it off or switch to a different model or 4x4 without missing a beat. Cape Town is made for families who want to explore and adventure together. From the Two Oceans Aquarium at the V&A to Bugz Family Playpark in the north, from Vredenheim Animal Farm in Stellenbosch to Imhoff in Kommetjie, there are adventures to be had all over the city. Now you can get there no matter how big the brood (and all the cousins, uncles and aunties too) with your choice from a range of vehicles with AroundAboutCars: From a VW Polo Vivo to their new Suzuki Ertiga which seats seven people, has air conditioning and an AUX connection to play all your favourite tunes. What’s more, AroundAboutCars can give you great recommendations for tours and experiences to try around the city. And they know what they’re talking about. They’ve been in the industry for 60 years and come highly recommended by sites such as Lonely Planet for car rental in SA and Africa. Tip: Just got your licence recently? 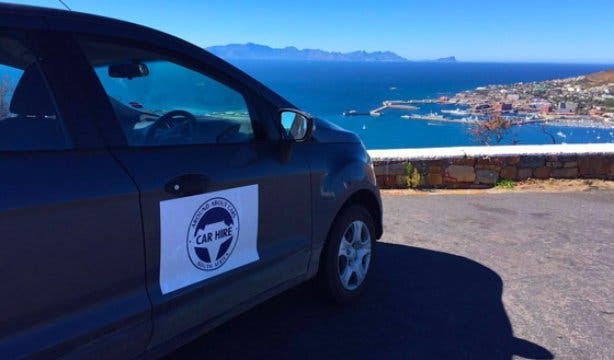 No problem, AroundAboutCars does under-23 car hire in South Africa. Plus, you can pay with your debit card (no need for a credit card here). There are also plenty of cool and unique vineyard experiences in our selection of Sunday wine tastings to try.